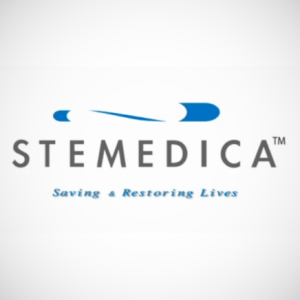 I have heard back from Stemedica on some questions I had on their role in the stem cell intervention done on hockey legend Gordie Howe. I heard from Marcie J. Frank, VP at Stemedica for Investor Relations. I want to thank her for answering the questions and doing so so quickly. Q: Did Stemedica write the Howe family statement or part of it? A: Stemedica did not write any part of the Howe family statement; that was released by Gordie’s family. Q: Did Stemedica/Novastem provide free treatment to Howe? A: Stemedica is not a sponsor of the clinical trial referenced below; that is Novastem (exclusive licensed distributor in Mexico of Stemedica’s adult stem cells for clinical trial use). Please contact Novastem directly for any information on that trial. Q: Could Stemedica comment on the type of stem cells used please? Also were they allogeneic or autologous? Were they proliferated in a lab? I’m going to email Novastem too. Stay tuned. Keith Olbermann, the Dr. Oz of Sports? Interesting that they referred you to the clinicaltrials.gov site but none of the listed trials uses NSCs. None of the information on their website (only their patent publication) appears to give information on the origin of these cells, either. Is it just me or does it seem like they are trying to avoid questions about the use of fetal cells? One day anybody will be the first to launch a medical application which is really working. But I think if someone will find such a therapy, they will give the whole information about this therapy to the public. It is difficult to believe in an therapy, if they don´t give you the background information. Just take a look at the medical trials of ACT (Robert Lanza), they have published the whole information. I totally agree. And I just can’t help thinking… yes, Stemedica haa something on clinicaltrials.gov and that’s all very nice, but WHERE are the PUBLISHED PAPERS? Don’t they have something related to whatever animal studies they did? It just seems a little weird.